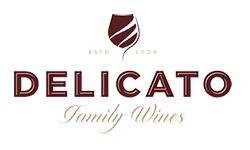 At Delicato Family Wines we have multiple locations and programs for college students to gain valuable experience and education, while earning a competitive salary. We have programs in Manteca, CA that focus on large scale production and research & development. In King City, CA there is a touch more of an intimate feel as you work in the lux area on our higher end wines (not to mention our vineyard allows you to get a full picture of winemaking). Last, but not least, our facilities in Napa, CA offer a much smaller operation that obviously has the grand prestige that comes along with working in America's well known wine country.